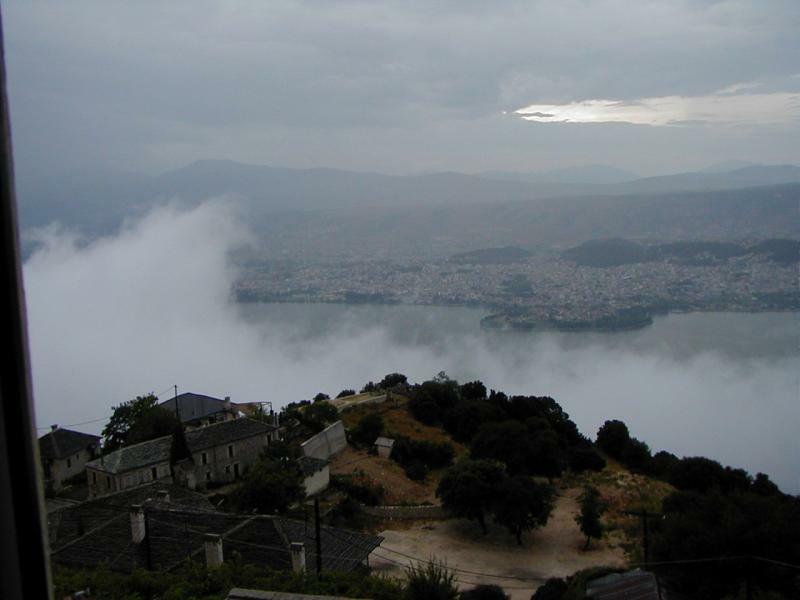 Ioannina Yiannina (Ioannina) According to a text by the historian Procopius, Ioannina was founded in 527 by the emperor Justinian. 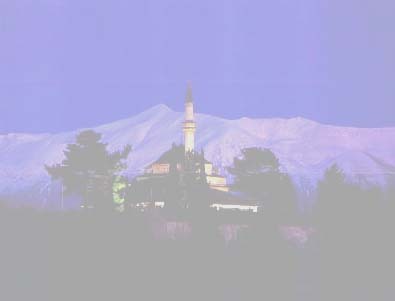 Its first period of prosperity began in 1204 when Michael Komninos founded the Despotate of Epirus and Yannina was established as the region 's intellectual centre. In 1430 it surrendered to the Turks. During the reign of Ali Pasha (1788-1822), it enjoyed a new period of economic and intellectual growth, as his court became a pole of attraction for restless spirits (Kollettis, Vilaras, etc.) and future military leaders of a revolutionary Greece (Karaiskakis, Botsaris, Androutsos, etc.). But for Yiannina the modern era of its long history did not really begin, until its liberation by the Greek army on February 12 ,1913 and Epirus became part of the Greek state. 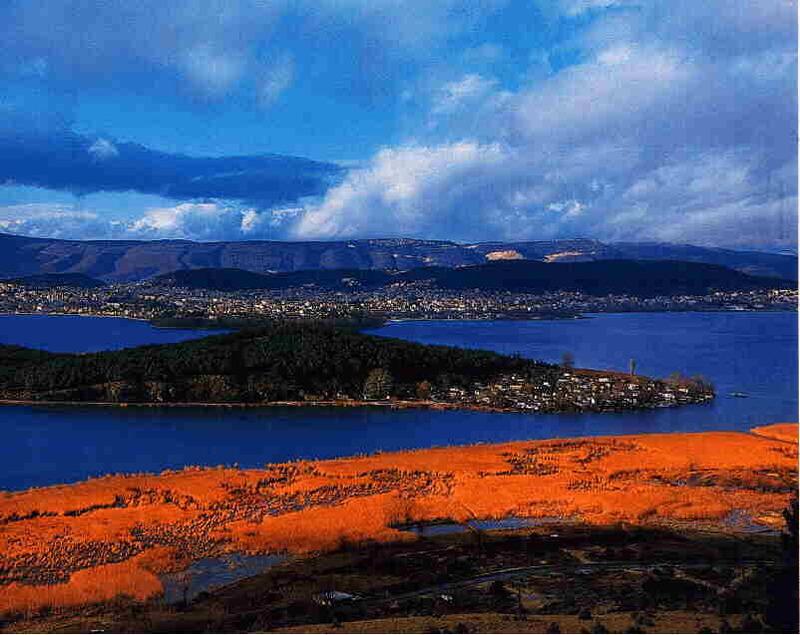 It is built on the hillside, above Lake Pamvotis. Its lovely scenery and historic monuments make sightseeing fascinating, enhanced further by the pleasure of watching its jewellers and wood carvers at their traditional crafts. Yiannina's Archaeological Museum contains exhibits of the most significant finds from all over Epirus. The Municipal Museum, housed in the former mosque of Asian Pasha, has fine collections of jewelry, textiles and traditional costumes. Finally, the Folk Art Museum of the Society for Epirot Studies possesses a great many examples of local crafts. 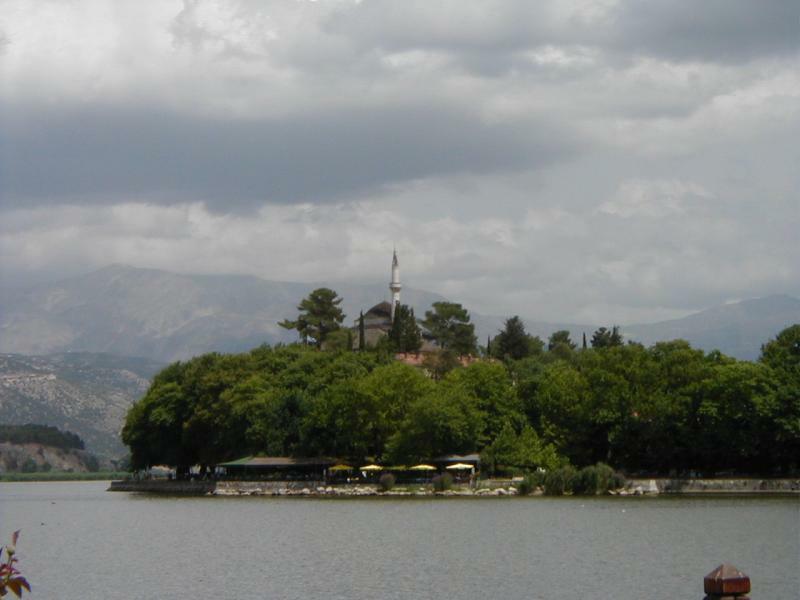 No visit to Yiannina would be complete without a trip to the islet (Nissaki) in the middle of the lake; small boats make the short journey frequently. The islet also has two major sights: the Philanthropinon Monastery with its Byzantine frescoes, depicting among other subjects Seven Sages of antiquity: and the PreRevolutionary Mseum. At Mouzakei (13 km. from town) the Vrellis Museum contains waxen effigies of personalities and scenes from the period preceding the Revolution (1611 -1821). Four kilometres north of Yiannina is the Perama Cave, one of the most stunning horizontal caves in the Balkans. How to get there : loannina is linked by air with Athens and Thessaloniki. The roads linking it with Greece' s major cities and with the towns and villages in the district are extensive and in good condition. Cultural events : In summer, the Epirotika Festival includes performances of ancient drama at Dodoni. There are also festivities surrounding the saints' day celebrations in the towns and villages of the district and the wine festival at Zitsa. Among the local gastronomic specialties are : meat cooked in a "gastra" or clay pot, pies of various kinds, baklava and "bougatsa", a cream pie. Sports : Apart from mountain climbing and winter sports, the rivers of Epirus are made for kayaking and its slopes for hang gliding. The trade mark of our City, The Castle and "Tzami". T� ������ ��� �� ����� ��� �� ���������� ��������� ��� �����! 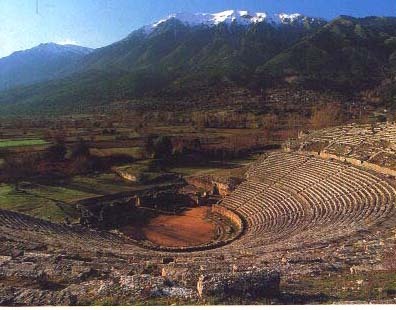 amphitheatres in Greece, with seating capacity for 17,000 people. 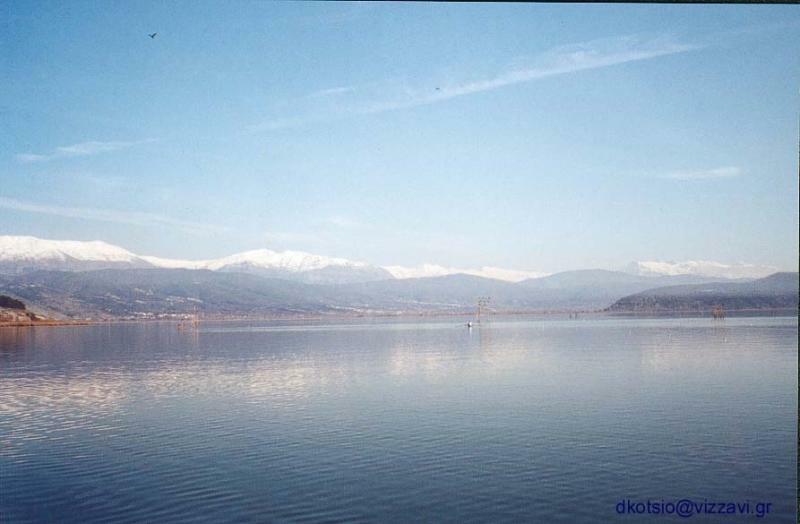 Mount Tomaros in the Backround. ������.��� ����� �� ������� ��� �������. 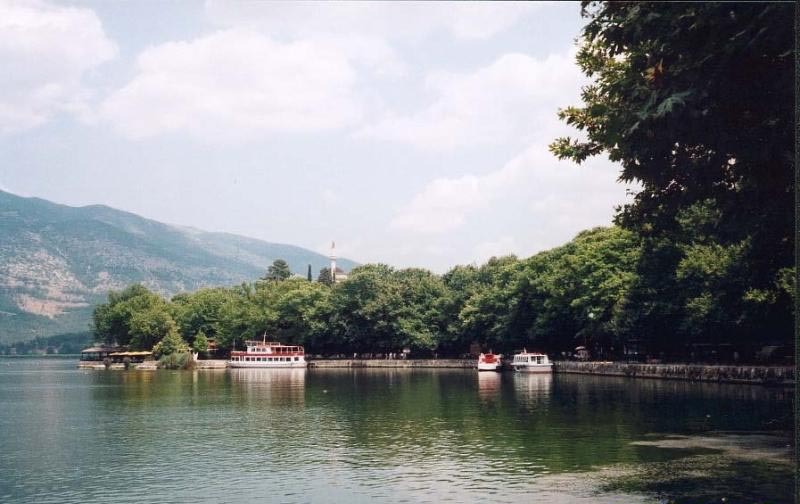 The lake front,the Castle,and the Museum (Tzami). M�� ���� ����� ��� ������,��� �� ����� ����� ��� ������. Map of Yiannina and the area around it.